In the true spirit of “stuff we like, you might too…” here’s a heads-up on a new book any fan of 1970’s Power Pop and Glam Rock will be curious to read. 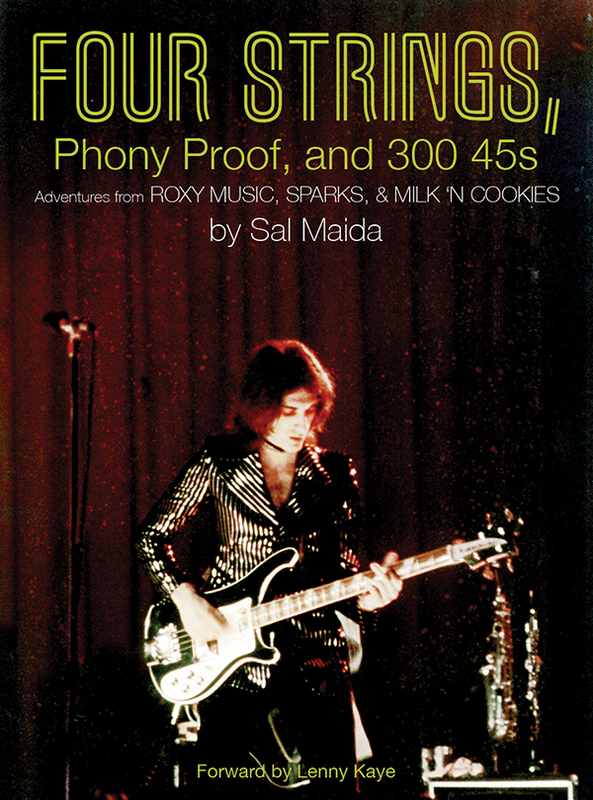 4 strings, Phony Proof, and 300 45’s is musician Sal Maida’s memoir of life in the heyday of the aforementioned genres. His adventures on both sides of the Atlantic should make a great read for fans of Roxy Music, Sparks, early power punk and the 1970’s New York City Punk Rock scene. This is the 5th publication from the Hozac Record Company, who have recently given us a double LP of demos by Oister, the duo that eventually became the Dwight Twilley Band. A sublime treat. I first encountered Maida’s work when he was a member of a Milk ’N Cookies, the punky pop-sters from Long Island New York with an Anglocentric streak. 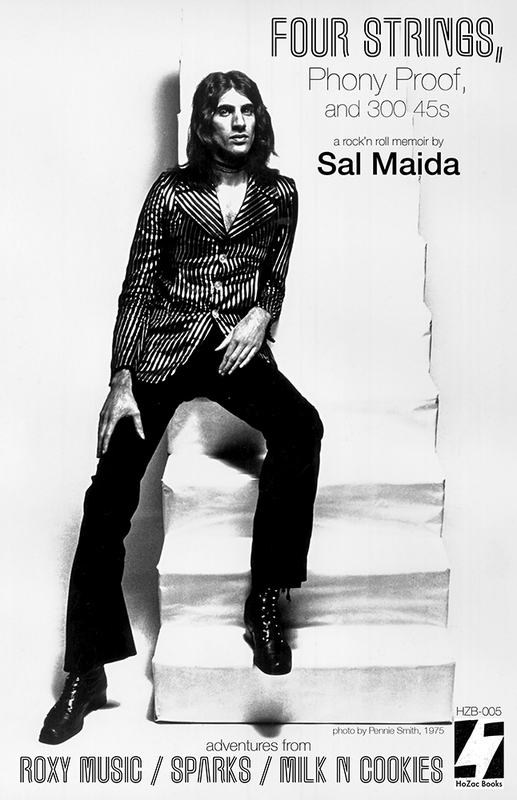 Sal had already toured as bassist for Roxy Music when he joined the M’nC at the suggestion of their managers. Unfortunately, Island Records’ failure to realize a marketing plan for the group left their album unreleased for several years after it’s completion. The record has since become a collector’s item, and has seen a couple of rereleases including one triple LP package that includes their demos. Maida’s reminiscences are capped off with a final section “where Sal meticulously lists his 300 essential 45rpm singles” Hozac’s press release promises these “riveting footnotes [are] sure to send you into a obsessive frenzy.” I’m personally frightened to be more frenzied and obsessive about records than I already am, but my order is in. Of course the 45 RPM list makes the inclusion of a foreword written by Patti Smith Band guitarist Lenny Kaye quite appropriate. Kaye not only shared Lower East Side stages with Milk ’N Cookies but his seminal compilation, Nuggets, was the catalyst for the eventual garage punk renaissance. It’s impact is still evident in programming like Little Steven’s Underground Garage, and the Come to the Sunshine Podcast hosted by ‘sixties music maven Andrew Sandoval. Hozac is taking preorders at their website. The book is limited to a first run of 500 copies. The first 100 orders will be accompanied by the poster pictured below.